The Christchurch mosque attacks have received international coverage, and there has been an overwhelming and encouraging outpouring of compassion, sympathy and solidarity for the victims of this atrocity. 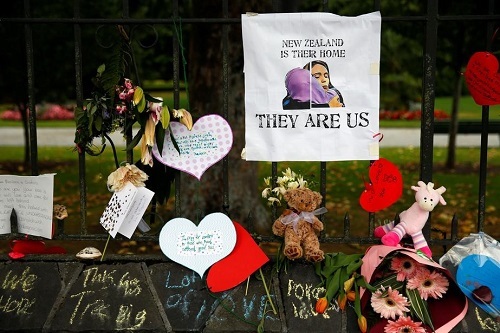 The racist murders of Muslim worshippers in Christchurch constitute the worst mass killing in New Zealand’s recent history. While the motivations and ‘manifesto’ of the Australian-born racist killer are subjected to rigorous examination, it is worthwhile noting that his ideology is not out of place in today’s toxic political climate. The Washington Post, examining the racist murders in Christchurch, noted that Australia has been a fertile ground for the growth and dissemination of Islamophobic culture and ideas. 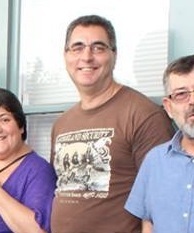 Ghassan Hage, an academic at the University of Melbourne, observed that Islamophobic ideas have been circulated by rightwing, Murdoch-owned publications for many years. Murdoch’s News Corp media company has been peddling Islamophobia for decades. These publications normalise extremist and racist ideas, and provide rightwing online communities with a sense of legitimacy. The racist murderer in Christchurch made no secret of his political ideology – that of white supremacy and neofascism. His self-described ‘manifesto’ recycles the same anti-immigrant and Islamophobic themes that form the main talking points of the European and American ultra-right. He referenced the Norwegian racist killer, Anders Breivik, and the latter’s 2011 mass murder motivated by white supremacy and hostility to immigration. Interestingly, the ‘manifesto’ of the Christchurch racist murderer contained numerous references to the Crusades and Crusader battles. He was attempting to rationalise his actions as purely self-defensive, and motivated by a desire to counter Islamic ‘invaders’. This notion of Muslims and Islam as ‘invaders’ pervades not just the ultra-right, but informs mainstream media commentary as well. Scrawled onto his machine gun were neofascist symbols and slogans. The portrayal of European Christendom as a bastion of white Christian harmony fighting off hordes of Muslim invaders is a popular notion among the online communities of the far-right; it is also very simplistic and tailored to meet the requirements of today’s anti-immigrant politics. In fact, as much as the Crusades have come to dominate popular stereotypes of the Middle Ages, multiethnic and religious cooperation across the ethnic/religious divisions were a common feature of Middle Ages life. Historical accuracy, however much commendable is not the goal of the Islamophobic Right. What concerns us here is how seemingly fringe ideas have become powerful motivators for lethal terroristic behaviour. The ideas in the ‘manifesto’ have been circulating for decades in the mainstream corporate media. The Australian conservative political establishment – embodied by former prime minister John Howard – vilified refugees, migrants and in particular Islam as ‘invaders’ intent on undermining the allegedly ‘Christian’, white Anglophone values that underpin the Australian state. Current Prime Minister Scott Morrison, while he was immigration spokesperson in 2013, suggested that anxieties about Muslim immigration and anti-Muslim sentiment be cultivated and used for electoral purposes. His condemnation of the white supremacist murderer of Christchurch sounds hollow, given his track record of fully supporting Islamophobic ideas and measures. Jason Wilson, writing in The Guardian newspaper, elaborates that Islamophobia and racism have been ratcheted up in popular culture and media discourse throughout the last few decades. Islamophobia has basically been adopted as a plank of Australian foreign and domestic policy. Racism in Australian society did not begin only in the last few years, of course. But with the Australian government’s active endorsement of and participation in the American-driven ‘War on Terror‘, a singular and exclusive focus on Islam as the official enemy has dominated political culture. While the notion of a ‘foreign invasion’ of Australia by immigrants has a long and sordid pedigree, we can look to recent commentary to find recycled examples of this xenophobia. It was not too long ago when Andrew Bolt, a leading blatherer of the Australian conservative commentariat, was complaining of a ‘foreign invasion’ by immigrants in one of his regular columns. By inciting racial hatred in his writings, Bolt was giving a veneer of respectability for xenophobic and racist viewpoints. In this particular case, he vented his anger against Jews. It is not difficult to see that moral panics about ‘foreign invasion’ can transfer across ethnic and religious groups. While the Labour governments of Rudd and Gillard denounced expressions of open racism, they did not challenge the underlying logic of the bigotry. Labour governments have presided over and encouraged the spread of Islamophobic bigotry, if only in more subtle ways than their conservative counterparts. With every move rightwards by the political establishment, the so-called sensible ‘centre’ does nothing to distinguish itself from the conservative drift. Muslim migrants as ‘invaders’ has gained normalised acceptance in the toxic political culture of Western nations. The Trump administration in the United States, and its co-thinkers, have long demonised immigrants – in particular migrants from Muslim-majority countries – as a threat to be countered. The ideas expounded by the Christchurch racist murderer are not unusual among members of the US congress and rightwing punditry. Former chief of staff for Trump and Alternative Right political operator Steve Bannon, regularly cites the anti-immigration novel The Camp of the Saints as an inspiration for his politics. The novel, written in 1973 by Jean Raspail, depicts a fictional invasion of Western Europe by dark-skinned migrants. The Christchurch mosque shootings have produced a national conversation, in Australia, about the ideas and ideology that drove the white supremacist killer to take human life. Greg Barton, a professor at Deakin University, notes that we must all be vigilant about the toxic political culture which allows racist hate to flourish. Professor Barton is correct to point out the online subcultures of white supremacist hate in which persons such as the racist killer in Christchurch could become radicalised. However, this is only one side of the story. We need to examine the political trajectory of the last 18 years, focusing exclusively on the ‘war on terror’ and Islamist groups. With this narrow outlook, the racist killers such as the one in Christchurch have flown under the radar, so to speak. Intelligence agencies have subjected Muslim communities to constant surveillance and police actions, and their resources have greatly expanded since the beginning of the ‘war in terror’ in 2001. White supremacist ideas, aided and abetted by willing politicians, have made their way into the mainstream. It is commendable to condemn the Christchurch mosque attacks, but mere platitudes are not enough. We need to stop the Islamophobic rhetoric emanating from the corporate media and conservative commentariat. With Muslim communities worldwide experiencing dehumanisation with the ‘war on terror’ campaign, white supremacy has shown itself to be a powder-keg of violence, stoked by mainstream politicians. The racist murderer in Christchurch is responsible for his own actions – of that there is no doubt. But we cannot ignore the complicity of the political establishment that allowed his ideology to grow.